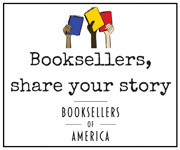 Professional booksellers need not only book knowledge and passion, but also business skills and training. To that end, ABA offers tailored educational sessions and events; financial benchmarks and tools; and wide-ranging and unique marketing materials and messages. ABA Education is created specifically for the retail professional and is presented at ABA’s premier event, the Winter Institute, the ABC Children's Institute, regional fall trade shows and spring forums. From bookselling basics to digital issues, ABA Education helps bookstores to achieve profitability, to differentiate themselves from their competition, and to remain relevant. See the ABA Education Curriculum for session handout materials in various formats.